From reaching a wide subscriber base to writing appealing copy, pulling off a successful email newsletter can seem like a daunting task. At the same time, the email newsletter is the most effective way to reach your customer base and keep your brand front and center in the minds of your subscribers. An email newsletter is a marketing and communication tool used to inform users about your brand, products, and recent company activity. It builds a unique relationship with users and consistently supplies them with company information that is interesting, relevant, and up to date. To help you and your brand execute an email newsletter that stands out in your recipients’ inboxes, we’ve compiled this all-in-one guide. In this guide, we’ll go through the aspects of an effective email newsletter that ensure your subscribers are receiving high-quality content in their inboxes. 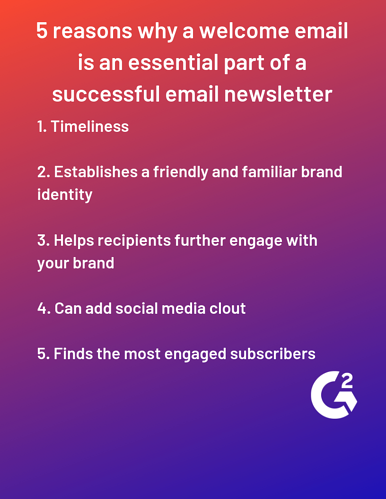 A successful email newsletter will have four key characteristics that are essential to its success. An email newsletter populates in your subscribers’ inboxes on a recurring basis that you (or the subscriber) can control. From daily to weekly to monthly newsletters, your email newsletter is a way to claim space in your recipients’ inboxes and build evangelists for your brand. Each email reminds subscribers about your brand and is an opportunity to remain top-of-mind, even before the recipient opens the email. The email newsletter is an opportunity to inform users about your products and site offerings. Newsletters are a great platform to update subscribers about new product updates and feature releases. It’s also an opportunity to drive traffic to your website’s product and marketing pages if subscribers want to learn more about a particular part of your brand or product. Since your subscribers are already engaged with your brand, the email newsletter provides an audience at your fingertips that will have at least a partial interest in new product and feature releases. 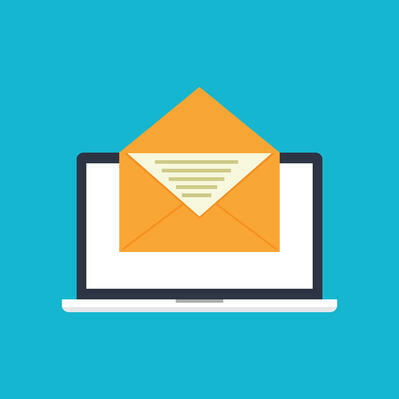 An important aspect of newsletters compared to marketing email campaigns is that newsletters are primarily focused on providing news and company updates to subscribers, not necessarily to push products or sales. In addition to being delivered directly to the inboxes of subscribers, the email newsletter offers a way to send tailored messages based on an individual subscriber’s preferences and unique characteristics–also known as segmentation. Email newsletters allow for dynamic changes in different emails to different subscribers, including the ability to insert personal fields like job titles and locations. You’ll also want to start your newsletter process by viewing some email newsletter templates for an overview of what types of ideas you can look to present to your audience. You’ll need your awesome newsletter to get out to as many subscribers as possible. Learn how to build an email list through a number of effective methods, all of which will provide a source of subscribers that have a genuine interest in your brand. Traditional sign-up strategies, such as sign-up sheets at events, may only yield substantial growth in your email list if you have already gained the trust and loyalty of your potential subscribers. It can be a starting point for your email list, however, should not be the only method you use if you want to see substantial growth. To expand your list, try offering exclusive deals or optimizing your website for customers to sign up after purchasing an item. Also don’t forget to use your social media accounts to your advantage, as customers that follow your brand on social media are more inclined to sign up for your email newsletter than the average person with no ties to your company. After building out a proven and effective email newsletter, expanding your email list grants your newsletter the reach it deserves and more potential targets for your brand to engage with. The importance of a cordial welcome applies to the relationship between your brand and its newsletter subscribers just as it does anyone else. After you’ve built an extensive email list, you’ll want to begin your relationship with your subscribers on the right foot. To accomplish this, a welcome email is necessary to send to subscribers once they sign up for your newsletter. The welcome email is the proven best time to reach out to your subscribers. Your brand is fresh in their heads after they have just signed up to join your email list or engaged with your brand via a purchase, and reaching out with a welcome email is a perfect time to extend your stay in the minds of your subscribers. Just as you would extend a sense of general courtesy and politeness if you were welcoming someone into your home or office for the first time, the welcome email provides your brand with an opportunity to show respect and care that they may not receive from other brands. At its core, a drip campaign centers on getting customers the right information at the right time. The campaign includes automated sets of emails that go out based on specific timelines or user actions. It enables you to stay in touch with groups of people based on events, such as a user signing up for an account or how often that user visits your site. What makes drip campaigns so useful is the customizable and automated cadence at which a business can send them based on triggers or customer behavior. For example, a user signing up for a newsletter or requesting a demo with a high level of interest in a product might trigger more frequent and information-filled emails. A subscriber that does not interact with the product page more than once can be sent emails on a less frequent basis. Each time a drip email is sent out, it comes from a queue of already-written emails. There’s no need to manually write and send each one. It also contains the ability for customization of the name, company, and other personal information of the recipient that provides the brand with a boost of familiarity to the potential customer. 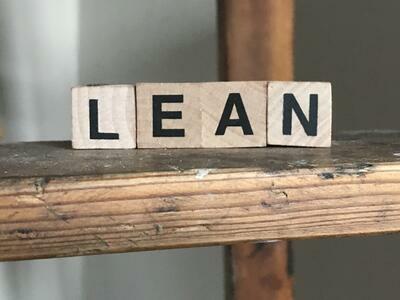 The campaign is a perfect balance of customizable for each user’s relationship to the product, while being automated and not requiring a large amount of time and effort from the sender. Once your newsletter is in full gear and landing in the inboxes of your subscribers on a regular basis, it's time to make sure that those on your email list remain engaged and excited about your brand. These email newsletter strategies were sourced from email marketing professionals and are proven to give your newsletter a boost in terms of engagement from your subscriber list. Strategies such as asking your subscribers for feedback as to how your emails can be better or avoiding language that sounds like it belongs in a sales email are easy ways to give your emails an edge over those of your competitors. 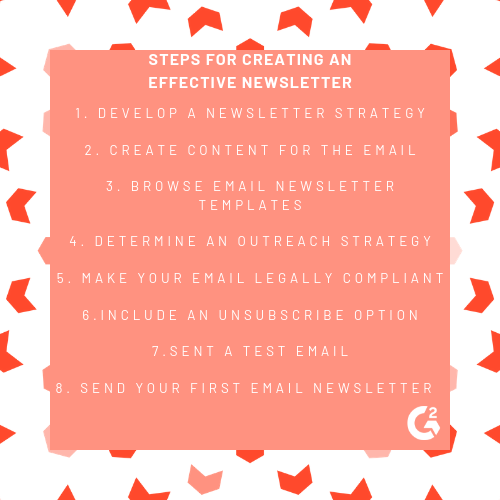 Combining these proven strategies in how you are crafting and sending your newsletter will take your newsletter from well-planned to actively adapting and engaging with your subscribers to get the most out of your email list. To achieve this dream result, email marketers must first devise the method through which they can convert their subscribers to buyers. There are plenty of strategies to get the most out of your subscriber base. But what about when you want to directly incentivize your readers to take immediate action? Direct response copywriting inspires the customer to take action as soon as they’ve finished reading your writing. This action is inspired by a persuasive tone, customer-focused language, a sense of urgency, and a strong call to action. 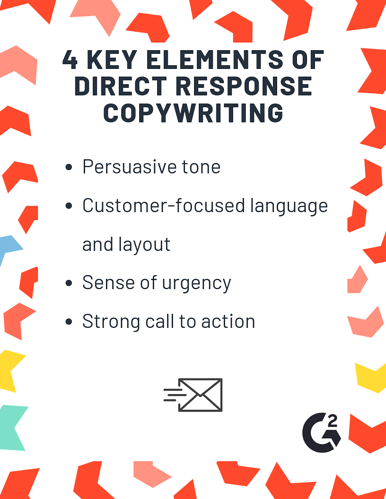 The aims of direct response copywriting can vary based on your campaign’s primary goals. 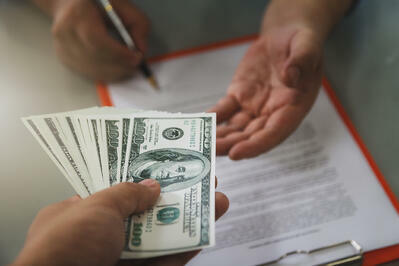 Most commonly, the main goal for direct response copywriting is to have your readers make a purchase. These goals can also include having your readers sign up for your newsletter, download a freebie, or follow you on social media. Now that you’ve been briefed on how to put into motion a successful email newsletter for your brand, it’s time to get going! 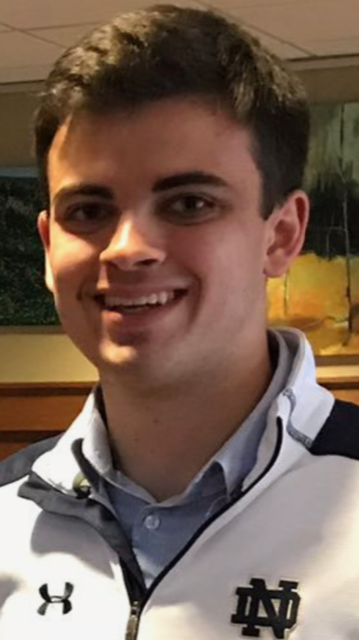 Rob is a Content Marketing Specialist at G2 Crowd writing about all things marketing. Originally from New Jersey, he previously worked at an NYC-based business travel startup.